This is a sponsored post written by me on behalf of Gulf County Florida. All opinions are 100% mine. I’ve been craving to scratch my vacation itch and head to a nice, warm, family friendly destination for months. 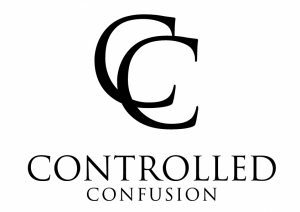 Vacation planning can be really challenging, especially if you want to visit a new location and aren’t familiar with the area. Our family contains three children under the age of eight, so its important for our final destination to have age appropriate activities. After some pretty extensive research, we’ve decided the best place to #ingulf in a family fun adventure is Gulf County Florida. Gulf County is offering the contest of a lifetime! 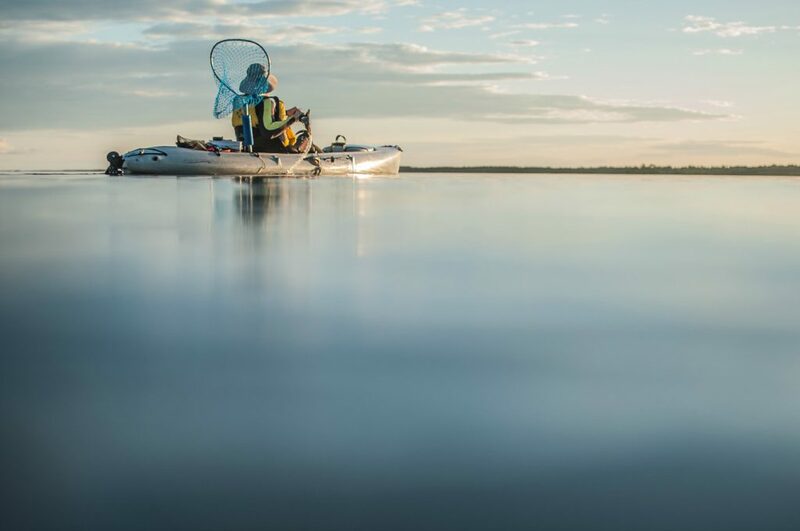 Share the adventures you’re engulfed in on Instagram with the hashtag #ingulf for a chance to WIN your own 7 day adventure to Gulf County, Florida! Check out all the Contest details! We have three very active kids who are always looking for adventure and love to be by the water! Gulf County is located in the panhandle of NorthWest Florida, part of Port St. Joe. Its gorgeous white sandy beaches, crystal clear blue waters, and family oriented atmosphere make it the perfect destination for a family looking for fun, relaxation, and fresh seafood! 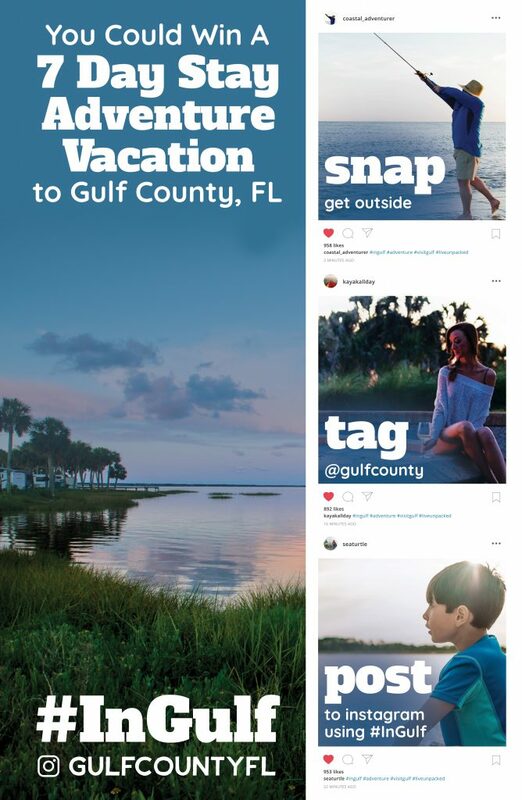 Before deciding on a vacation destination, I wanted to make sure there would be something every would enjoy, so I went to VisitGulf for more info. There, I was able to see all the information I needed pertaining to the Beaches and Waterways like St. Joseph Bay and the Gulf of Mexico. The Guide to Adventures section showed me all of the activities Gulf County has to offer from hiking and camping to diving and snorkeling fun! I was easily able to see our options for lodging in the area by clicking on the Places to Stay section, and updating the search filters to my preference. One of my favorite features of the VisitGulf site was the complementary Concierge Program. 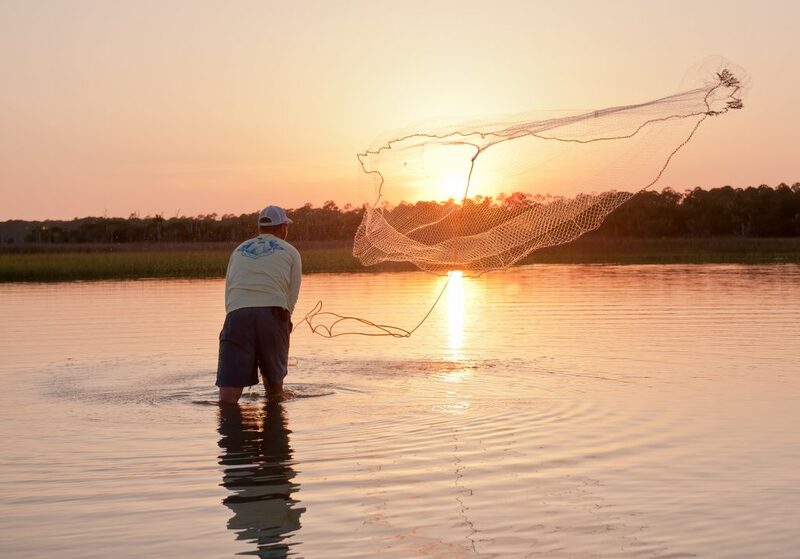 You can get in touch with a Gulf County guide by phone or email to plan your perfect vacation! I decided to contact my Gulf County Guide, Crystal, via phone and start our planning adventure. She asked basic questions like, the number to people visiting Gulf County and the interests/desired activities of the guests. It was as if I was a celebrity with my own personal vacation assistant! Based on our conversation here are some of the activities we decided would be perfect for on our Gulf County Vacation. Boat Charters– We are a huge fishing family and bring our poles wherever we travel. Crystal knew the best charters for young kids and recommended Perfect Cast and About Fun Charters. Water play and water activities– There are plenty of opportunities to enjoy the beautifully clear waters. 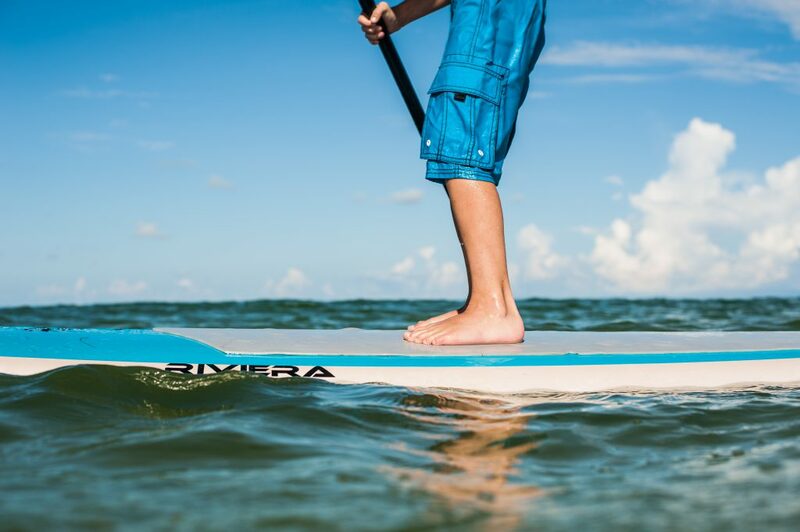 We’ll likely head to the bay towards State Park where the water is shallow and perfect for little ones who want to splash around. Eagle Harbor is another great place to spend a beach day with options to rent equipment for the water like snorkels and paddle-boards. Bonfires on the Beach– This is one of the activities I’m most anxious to do. 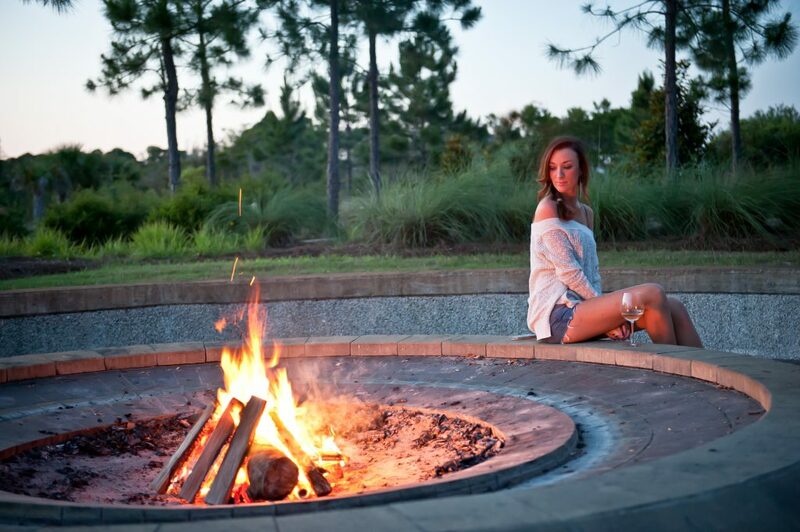 We’ll be able to build an actual bonfire perfect for roasting marshmallows and watching the sunset, right in the sand! My kids are seasoned Smores creators, but being able to do it with the sand between their toes is sure to be a lasting memory! The Artery Studio– head downtown to this one of a kind studio. My family’s “thing” is collecting seashells, and the Artery gives us an opportunity to create special keepsakes with our very own shells! There are classes offered at specific times and walk in activities available as well. The perfect place for adults and kids of all ages, my boys are going to LOVE creating art from our adventures in finding treasured seashells. SeaHorse Water Safari– Nothing sounds better than a water safari with Captain Charlene. 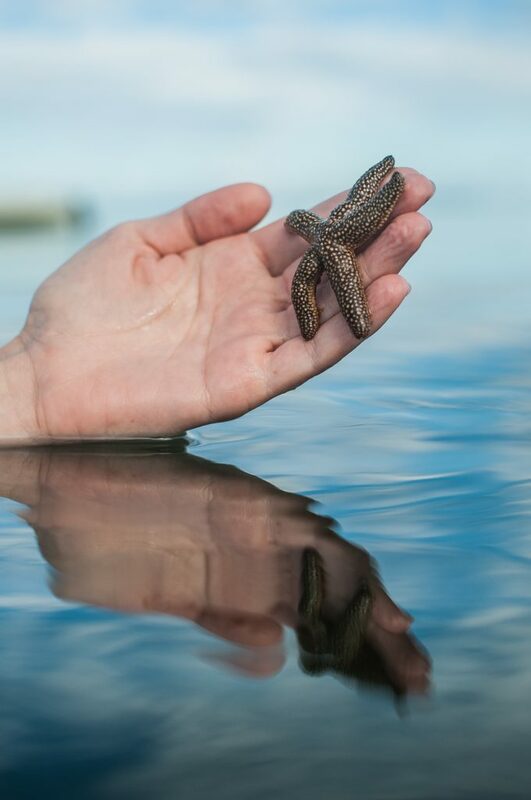 Here you experience snorkeling right in St. Joseph Bay! The pontoon boats make traveling super convenient to fit our entire family on the same boat and enjoy activities of snorkeling, fishing, and even a sunset cruise! Sea Turtle Conservancy Center– Gulf County is the largest nesting place for Sea Turtles in NorthWest Florida, having more than 40% of Sea Turtle nests. Crystal even told us how we can accompany the St. John Peninsula Turtle Patrol to learn more about the turtles! Being that our family has a strong love for animals and science, I know this will be one adventure they will never forget! 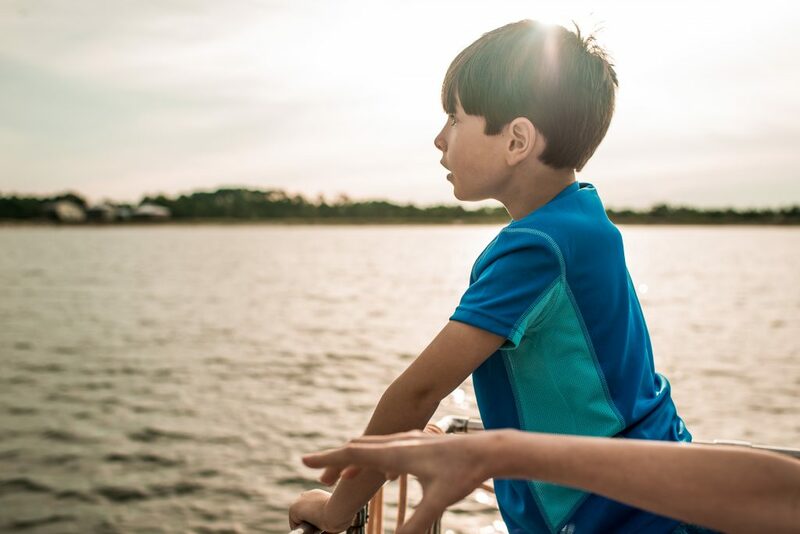 Our activities are geared towards younger kids but if you have older kids, two awesome adventures to consider are: Bay to Bay Tour– Hop on a pontoon boat for a 6 hour tour through the Apalachicola river system! Horseback riding– Definitely one of my Bucket List items, here you are able to ride horses on the beach of Cape San Blas. We are so excited to get our adventure started in Gulf County, Florida and can’t wait to create lasting memories! 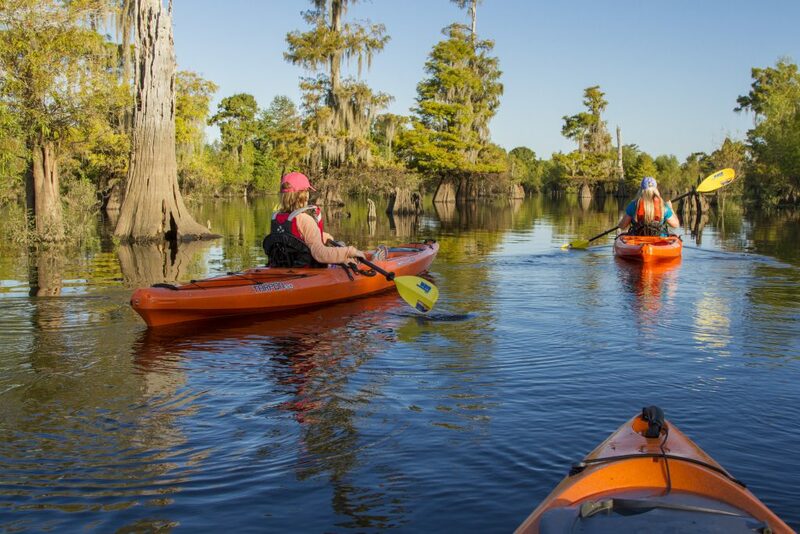 Which Gulf County adventure would be the top of your list?